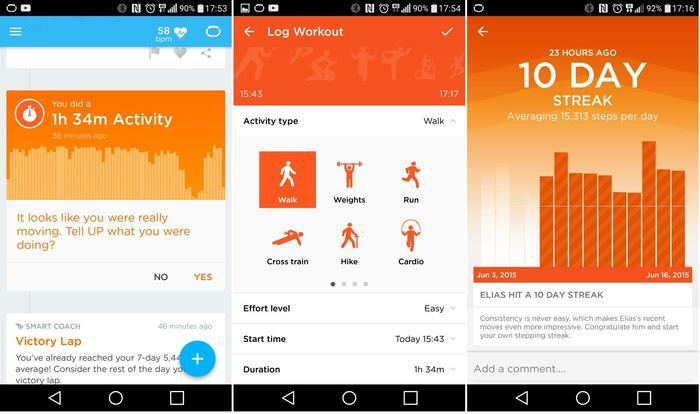 The UP3 gleans data on your physiology and then offers insights on how to be more active, eat better, sleep better and live better. Nothing. Maybe the charging method could be better. I don't usually write reviews in the first person, but Jawbone's UP warrants the change in tone. Other technology devices tell the story of a company – what they’re doing and where they’re going – but the flagship fitness tracker from Jawbone tells your story. It registers how active you are in the day, what you eat throughout and logs details on your sleeping patterns. I’ve been living with the UP3 for more than three months. I’ve taken it off only a handful of times. Yes, that means I’ve showered with it. The old UP24 used to have batteries running through the arms of the bracelet. It was thick all the way around and was hampered by an awkward design. On one end was a removable cap that concealed a 2.5mm jack; it would’ve been easy to lose. No doubt the UP24 was held back by day's technical limitations. The UP3 is smaller and smarter. The only bulge on its body takes place at the top, which is where the batteries, a capacitive display and a number of sensors are housed. The rest of it is wafer thin, although there are four contacts running along the band. They are not intrusive and are there to measure your resting heart rate. A clever latch locks the bracelet in place. It presses against the skin gingerly; a requisite if it is to glean heart readings or discern one stage of sleep from another. PC World editor Elias Plastiras and I are in disagreement on this part the UP’s design. He wears watches rather loosely and dislikes having his UP2 – which has the same design – pressing against his skin. After a week I altogether forget the UP3 is on my wrist. I take it off for brief breaks when I’m sitting down – it’s resting on the desk as I type these words. But I will put it back on for a trip as brief as a bathroom break. The UP3 only accounts for one half of the Jawbone experience. Its capacitive display lights up a trio of icons that reveal its current mode. Alternating between them necessitates a bunch of taps – more than three – so that it doesn’t switch modes every time it takes a knock. Viewing this data involves a nifty smartphone application. All of the data recorded is transferred to your smartphone over low energy Bluetooth. Some trackers provide an almost real-time update on your daily progress. The UP3 is not that kind of tracker. Jawbone claims it’ll update every five minutes, but in the real world, when Bluetooth is occasionally switched off, or when you walk beyond its range, this assertion wanes in credibility. Often the UP3 will be prompted to update whenever its companion application is opened. Waiting for the application to refresh can be maddening – there are days PCWorld’s editor muses on this gripe. I see value in this method for two reasons. It means I get to see the data on my schedule. Wearables are incredibly intimate pieces of technology. At every hour of every day, I don’t want to be notified on an immaterial statistic. The best wearables will disappear into the background, meeting our needs by blending into our lifestyle, and then when we’re ready, they will tell us what we’ve done and what needs doing. The second reason pertains to battery life. 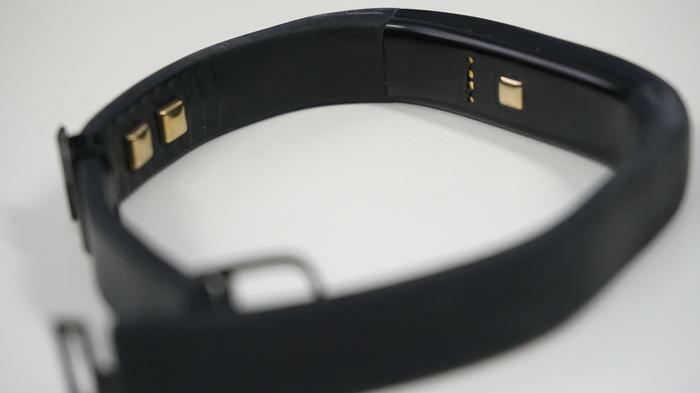 Jawbone claims the UP3 will last a week between charges. Over three months, the battery capacity of my UP has shed a day or two. A magnetised charger replenishes the battery in half an hour, which is less time than it takes to get ready for work. 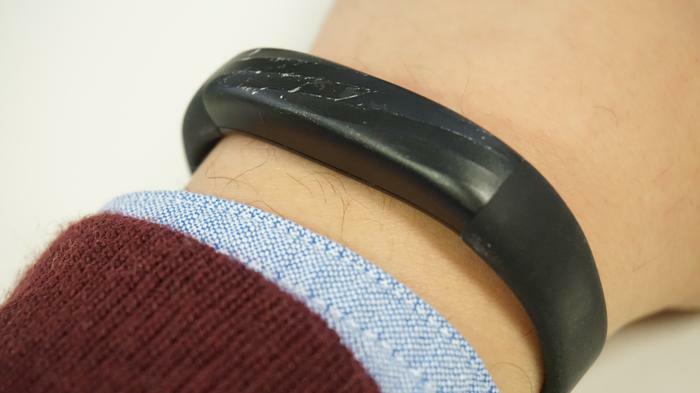 The trick up Jawbone’s sleeve is a personal trainer called Smart Coach. It assesses the data gleaned by the tracker and then makes the numbers digestible by giving them context. When I glance at my progress, Smart Coach shows my step count and sleeping patterns as a percentage. “101 per cent”, it’ll read, and I’ll know I’ve surpassed my daily goal. 1. An individual workout; 2. Qualifying the workout; 3. It keeps track of workout streaks. It records steps in the same way a personal trainer counts sit ups; if it’s a half step, then it doesn’t count. Wear both a Fitbit and a Jawbone and the Fitbit’s step count will be fractionally higher. All pedometers vary in accuracy. I consider Jawbone’s to be accurate, but more importantly, it is consistent. In the pursuit of fitness, it is better to undercount than overcount. The same diligent encouragement is applied to its tracking of food and changes in your sleeping patterns. 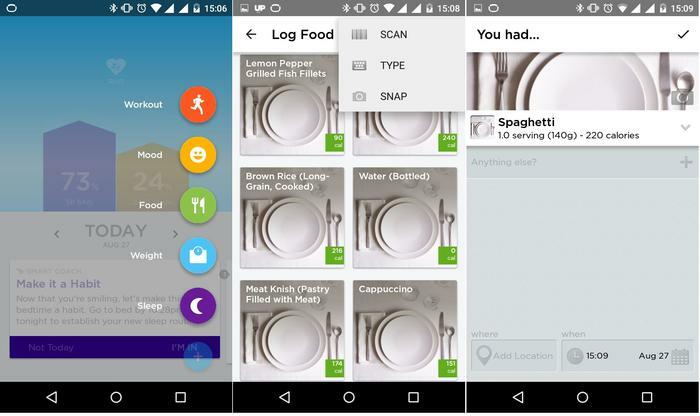 Meals have to be entered manually, but the app streamlines the process by accessing a vast database. Your meal can be logged one ingredient at a time, or by selecting an existing entry. Other methods include scanning barcodes by using the smartphone’s camera or simply taking a photo of the meal. Eating habits are qualified into colour coded categories: Red for ‘not so good’, yellow for ‘not bad’ and green for ‘well done’. 1. Items can be logged from the home screen; 2. The food selection menu; 3. Each meal's nutritional information. Smart Coach is just as involved in your dietary progress as it is in your daily activity. It will offer insights on how you can specifically, and progressively, improve your nutritional habits. I’ve always eaten well, but the day’s deadlines cause me to rehydrate with coffee, and not water, even though my throat will be as dry as a camel’s. The oversight has caused me discomfort. The feedback it provides you with will be tailored to your health and lifestyle. 1. An overview of a night's sleep; 2. Your heart rate reading; 3. A long term outlook on your activity and sleeping patterns. Having covered 16 hours of the day with exercise and food intake, the UP3 will then make detailed assessments on sleeping patterns. Jawbone’s U24 required a sleep mode be prompted before hitting the pillow, and failing to do so would result in a generic summary of your sleep. The UP3 will still return detailed insights on your sleep even if you forget to enable the mode. It will break sleep down into three different categories: REM, light and deep sleep. Qualifying the kind of sleep would be trivial if the tracker failed to communicate why each type is important. Being handed the information is one thing. Knowing what to do with it is another. Jawbone is aware that our sleeping habits inform our productivity in the coming days. 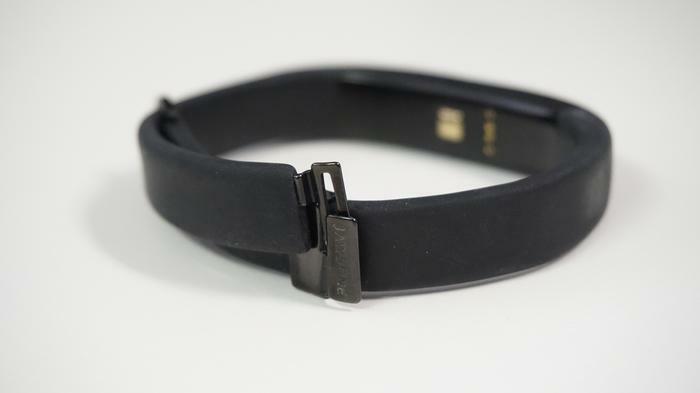 Jawbone uses the heart rate reading for an overview of your health. Readings take place once a day, in the moments when light sleep turns to consciousness, because that timeframe is free from factors that will dilute a heart reading. It is before you have coffee, grow irritated or take on straining activity. Smart Coach reveals the average person’s resting heart rate is from 60 to 100 beats per minute, and that athletes have been recorded with a resting heart rate as low as 40 beats per minute. A resting heart rate takes many factors into consideration – your sleep, your diet and your fitness level – and boils it all down into one number. 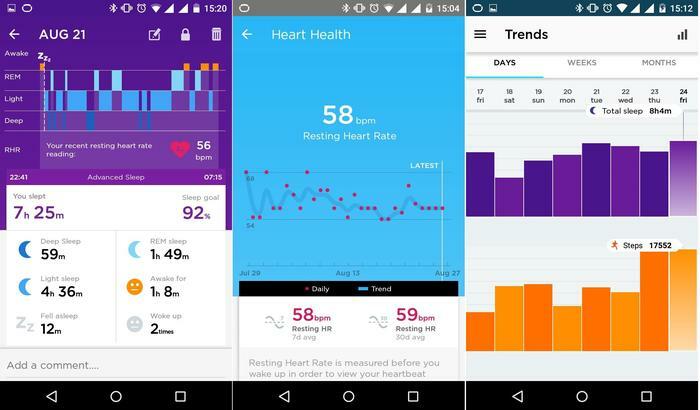 The application will recognise trends in an increased heart rate and make suggestions on how it can be improved. The design is quite resilient, which is something I learned during a snowboarding trip, also known as ‘falling down a mountain slowly’. The body of my UP3 now wears scratches, but a lesser tracker would’ve broken into tiny pieces. Wearables are incredibly personal devices. The one you buy requires the same consideration that goes into getting a body piercing or a tattoo. Nor will buying a fitness tracker make you fitter – that endeavour continues to require discipline and hard work. But finding the right fitness tracker will make it easier. 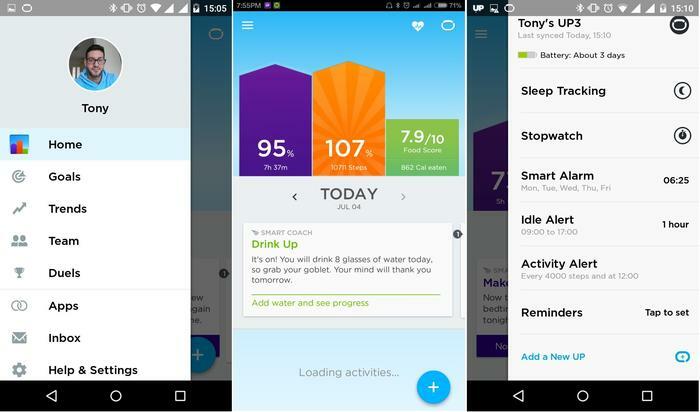 Jawbone’s UP will empower you with information on your physiology, on your heart beat and your sleeping patterns, guide your dieting and remind you to stay hydrated. It’ll give you that power. What is done with it is up to you. For me, the change is as small as drinking eight glasses of water each day.